Discovery Communications is planning to relocate from its home in Maryland to New York City in 2019 after buying Scripps Networks Interactive. The move is contigent on the US$14.6 billion deal for Scripps completing, as expected. The plan will see Discovery’s HQ move to New York, with a national operations headquarters based at Scripps’ home in Knoxville, Tennessee. Discovery will not be ditching Maryland, its home of 33 years, entirely. “Select network and support functions” will remain based at Maryland network hub, with government relations remaining geographically close to the metropolitan Washington DC area, where US politics are centred. Discovery also plans to have a technology hub in Northern Virginia and another in Knoxville. “The media industry is rapidly evolving, increasingly global, more consumer focused and more multi-platform and Discovery must evolve with it,” said David Zaslav, Discovery’s president and CEO, while announcing the changes first to employees yesterday. ‘Discovery was founded in Landover, Maryland back in 1985. It moved its headquarters to Bethesda in 1991 and then to its current home in Silver Springs twelve years later. There is currently around 1,300 staff at its HQ. 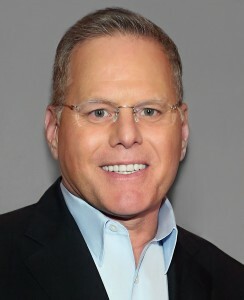 Zaslav said the decision to move away was “one we do not make lightly”, claiming Discovery could still “remain unwavering” in its support for Maryland.